1 Combine lemongrass, garlic, basil, salt, and pepper in a large mortar and pestle; grind to a paste. 2 With a small knife, cut small pockets in pork, between the layers of fat and meat. 3 Stuff the herb mixture into the holes. Tie with kitchen twine. 4 Arrange pork pieces in a pot, skin side up, and cover with enough water. 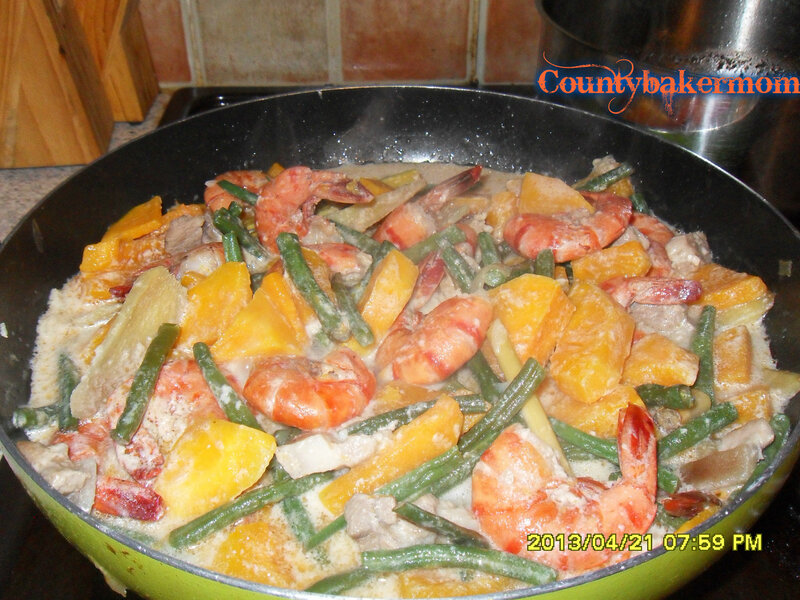 Bring to a simmer and cook for 1 1/2 hours or until tender. 5 Remove pork pieces from pot. Transfer to a rack and let meat dry. 6 Deep-fry pork in preheated oil until golden and crisp. Alternatively, you can roast the pork in a preheated 350°F oven or grill over medium hot coals until golden brown. Serve with seasoned vinegar and stir-fried kangkong, if desired. 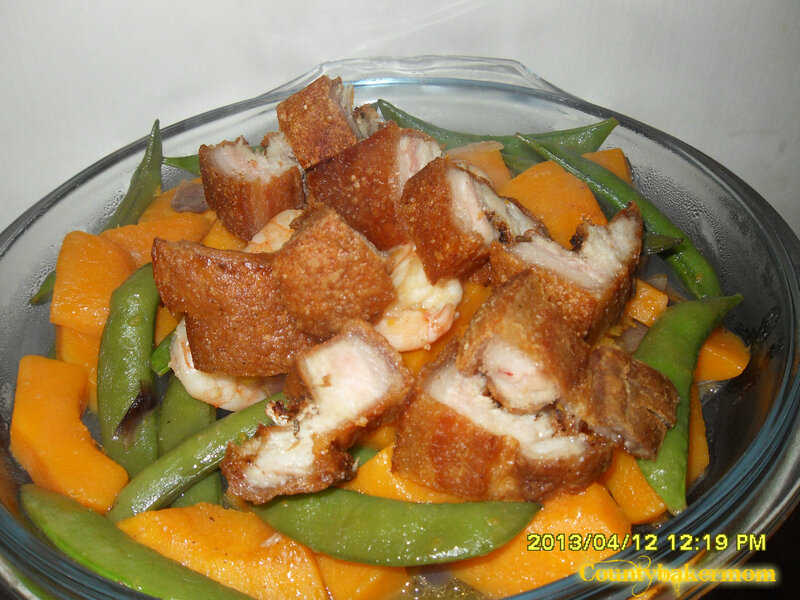 Craving for lechon paksiw but don’t have lechon leftovers? 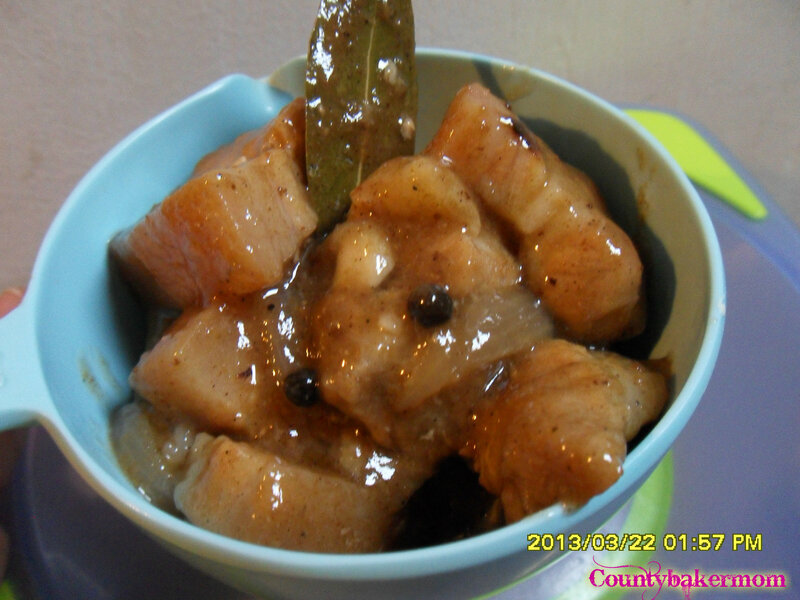 Then this recipe is perfect for you.No need to wait for lechon leftovers to make paksiw. 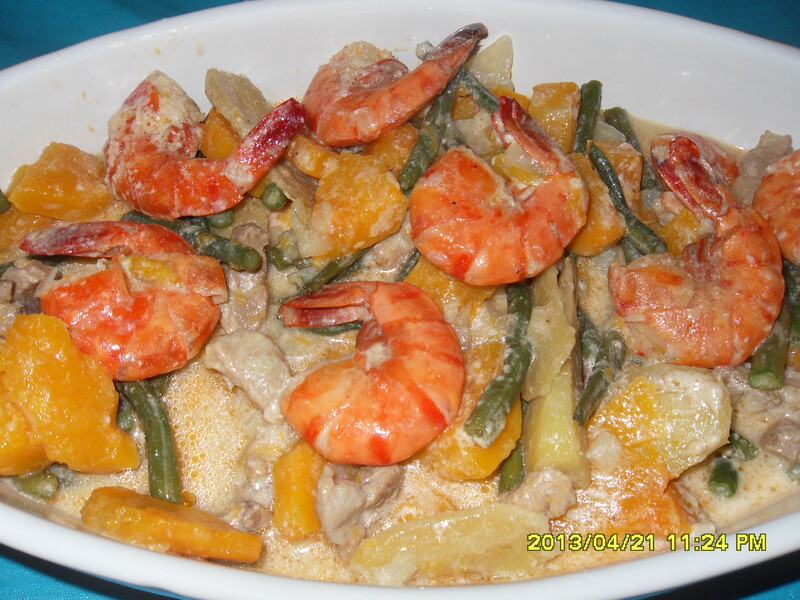 Here’s a simple way to make paksiw from scratch. 1 Place pata in a deep stockpot and fill with water until the meat is fully covered. Bring to a boil then simmer for about 1 hour or until pata is fork-tender. Drain and let cool. 2 Carefully remove the bones of the pata and slice meat into 2-inch pieces. Heat oil in a medium stockpot. Briefly sear skin of the pata (not the meat) until lightly browned. Add garlic and sauté for 30 seconds. 3 Add the rest of the meat and all other ingredients in the stockpot. Simmer over medium heat for 15 minutes without stirring. Stir and adjust seasoning with salt and pepper. Continue to cook for another 15 minutes or until sauce is slightly thickened. Remove bay leaves and peppercorns before serving, or you can also leave some as garnish. 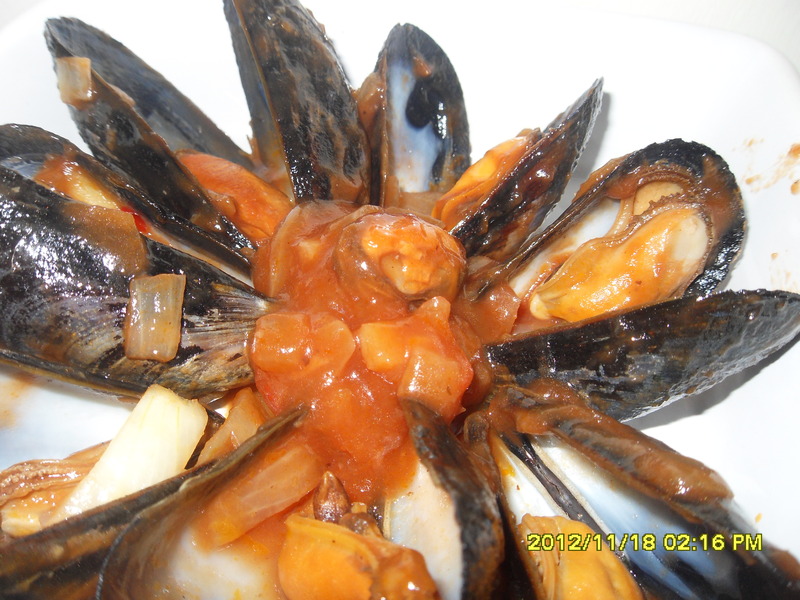 So happy to share with you my latest new found recipe this is really tasty and easy to make. In fact I never had the chance to take good photos of it. The pork was so good. It was all gone before I knew it. ;). 1 In a small bowl, combine water, vinegar, pepper, salt, and garlic. Stir until salt is completely dissolved. Set aside. 2 Arrange pork strips lengthwise in a large plastic storage container and pour the vinegar marinade over it. Leave in the refrigerator for a couple of hours or overnight. 3 When ready to cook, drain marinade and place pork strips in a colander or sieve to let the rest of the marinade drip off. Pat dry with a kitchen towel to remove more excess liquid. 4 Heat oil in a large pan. 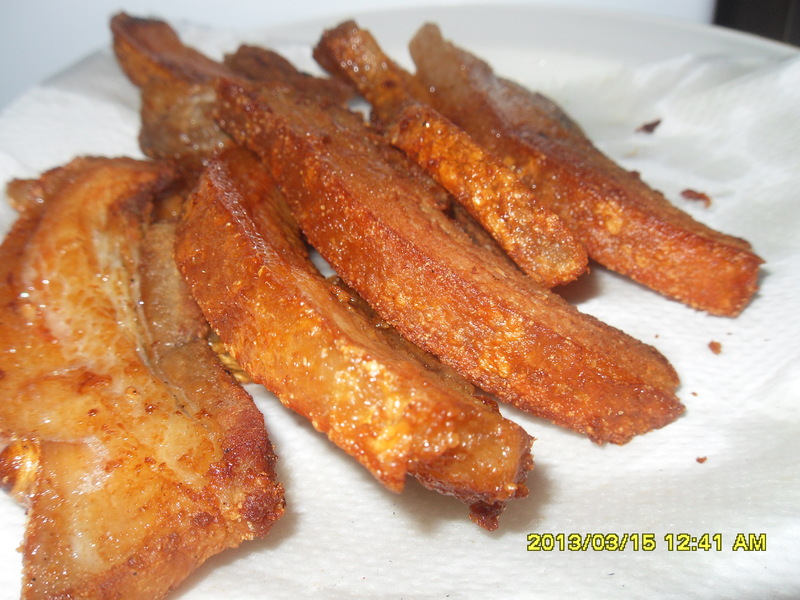 Fry pork strips until golden brown and crunchy at the edges. Blot the fried pork strips with paper towels to remove excess oil. Serve while hot. Slicing tip: For a more “curly” bacon look, you may request for a bacon slice instead of the #4 slice. 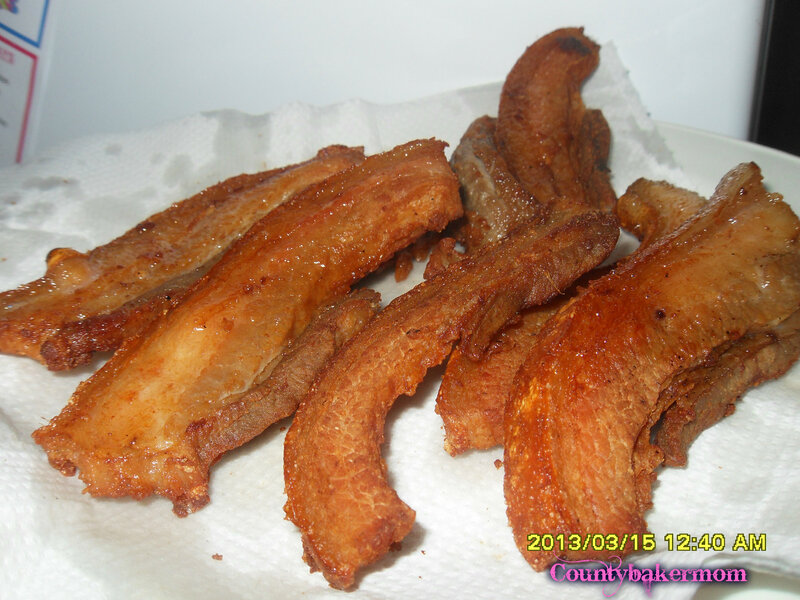 It is thinner and cooks even more quickly to a crisp just like regular bacon! 1. 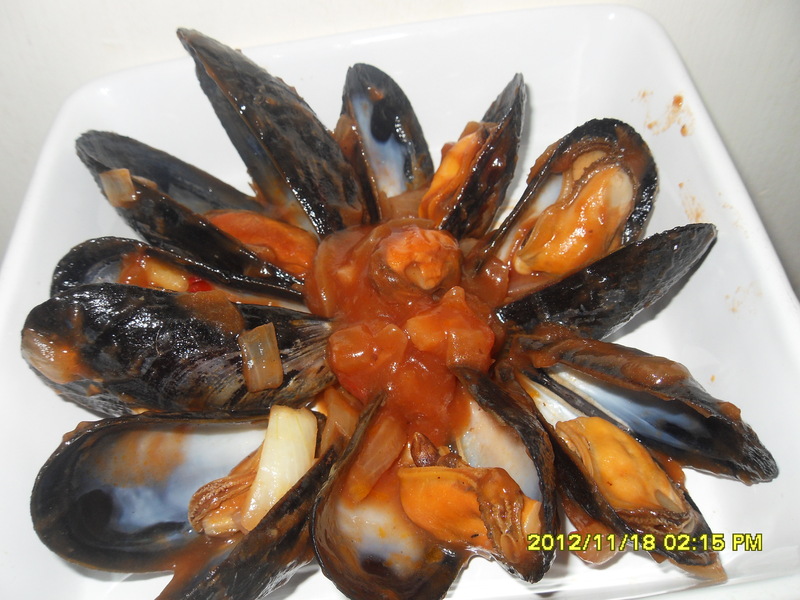 Boil mussels in salted water until they open. Strain and set aside. 2. In a wok, heat butter then sauté garlic until brown. Add in onions, ginger, and half of cilantro. 3. Add in oyster sauce, chili garlic sauce, sugar, rice wine, and Hunts Tomato Sauce with LycoFiber. Simmer until sauce is a bit thick. 4. Toss in mussels and the rest of cilantro. I’ve got spare ribs in the fridge and I’m thinking what would be the best way to cook it. 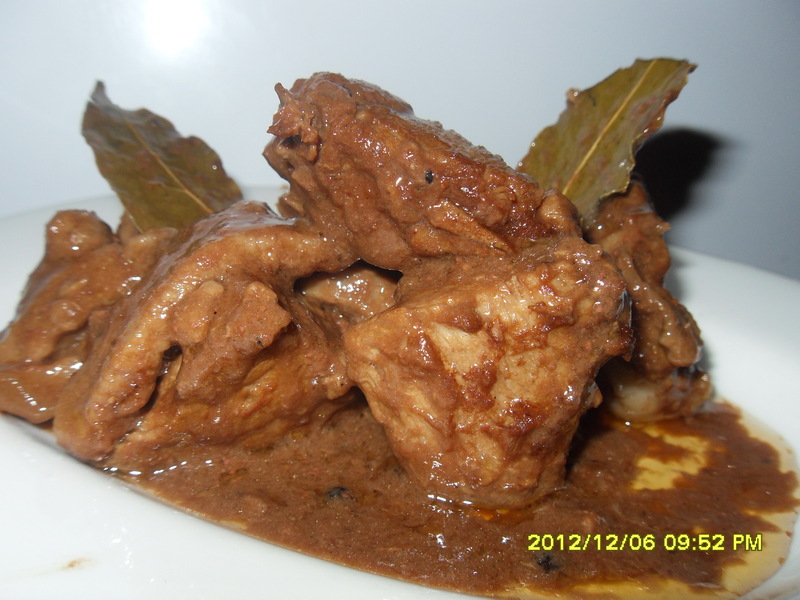 I just don’t want the usual way in cooking it like braised ribs or pork afritada so I surf the net for recipes that I could try and of course my favorite site is Panlasang Pinoy. I usually visit the site for my recipes to try on because there’s a video on how to do it plus the fact that he is also a Filipino like me so I know we had the same taste in terms of foods. 1. Combine honey, oyster sauce, hoisin sauce, soy sauce, and garlic in a bowl then mix well by stirring. 2. Place the spare ribs in a large bowl then pour-in the mixture. 3. Coat the ribs with the mixture and marinate for at least 3 hours. 4. Preheat the oven to 350 degrees Fahrenheit. 5. Arrange the marinated spare ribs in a baking tray then bake for 35 minutes. You can baste this with a little olive oil so that the meat won’t dry. 6. 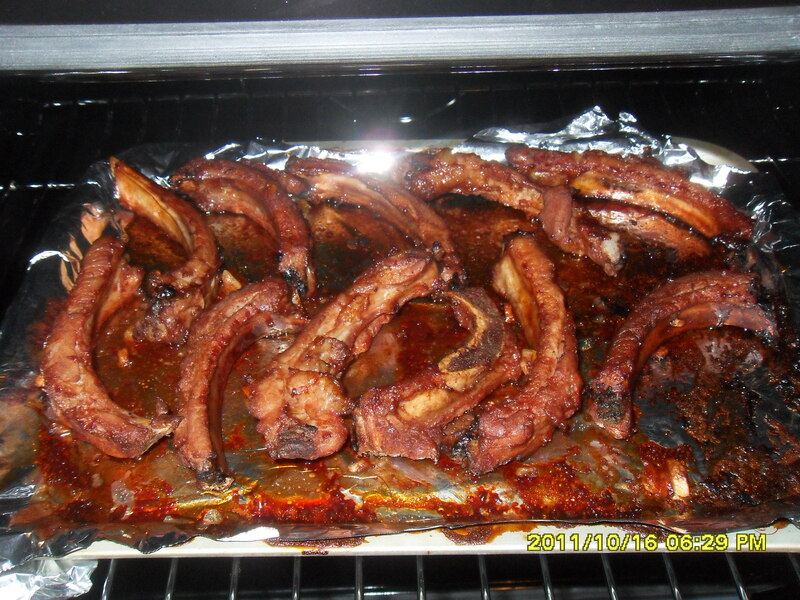 Turn the oven off then transfer the spare ribs on a serving plate. 7. 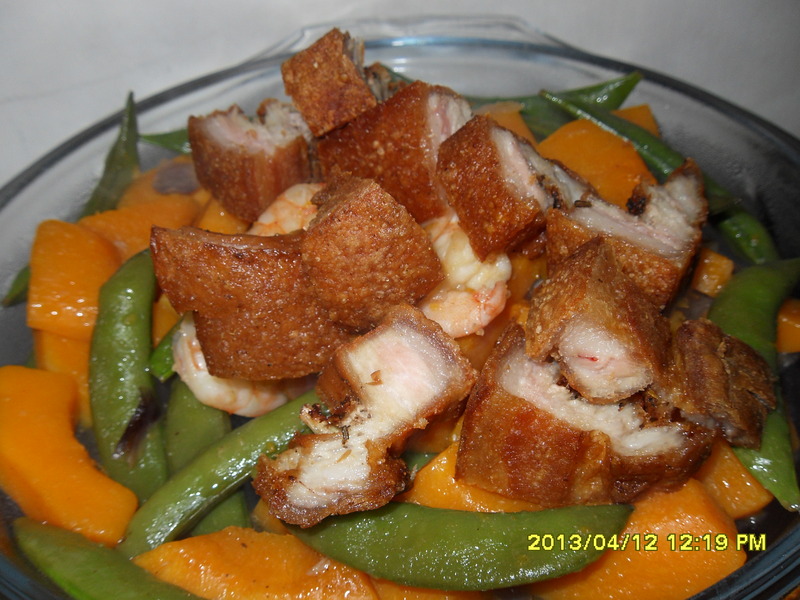 Serve with garlic fried rice. Share and enjoy!